The music of instrumental sludge trio Ølten is awash in contradictions. Its sonic landscape is bereft of adornment, yet despite its seeming simplicity, the songwriting and layering is meticulous. The band manipulate tension with masterful finesse, luring the listener into luxuriant pools of contemplation only to disrupt the calm with an unseen mallet to the back of the head. Acutely aware of the effect their songs produce, Ølten have chosen to title their upcoming full-length record Ambiance. Discover just how accurate their self-assessment is with our exclusive premiere of the album’s third track, “Klark”. Drummer Marc Theurillat’s snare-centric beat evokes the iconic introductory march of “Sunday Bloody Sunday,” though what follows is far drearier than anything produced by that Dublin quartet. Theurillat plunges the song into darker depths with his bottomless toms, foreshadowing the gloom sculpted by guitarist Christophe Macquat and bassist Sébastien Bandelier when they enter. “Klark” is a feast for drumming fans, as Theurillat hops from one innovative groove to another over the song’s nearly five minutes—toms, snare and rims take the lead, with a cymbal-led beat appearing for the first time over halfway into the track, complementing Macquat as he climbs into the upper reaches of his instrument’s range. As was with Mode, Ølten’s previous album, the cover art for Ambience is delightfully misleading. The colorful room, its washy pastels and zebra-patterned rug woefully dated, give no hint as to the dismal post-metal sludge that awaits within. 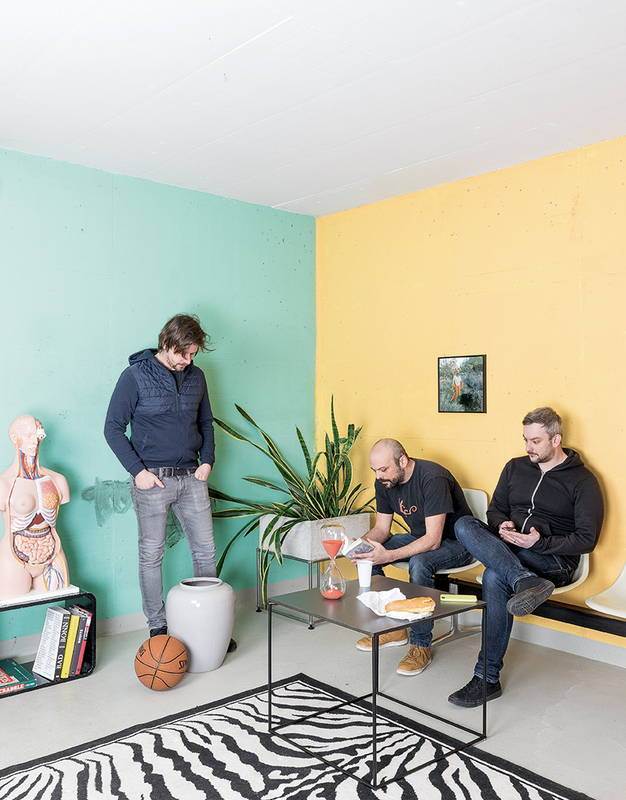 Ølten is a patient band, preferring a slow-burn aesthetic that allows each idea to fully coalesce and breathe before moving on. To excel at this type of composition and performance requires a deliberate, conscious musicianship, one which the members of Ølten possess in spades. Ølten will release Ambiance via Hummus Records on November 2nd. Pre-order the album now in digital, vinyl and CD formats on Bandcamp.